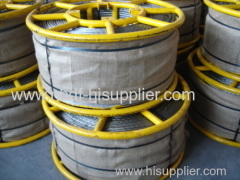 Anti twisting braided steel wire rope is used as pilot wire rope for pulling conductors, earth wire or OPGW cables in stringing operation. 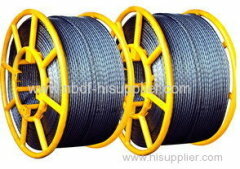 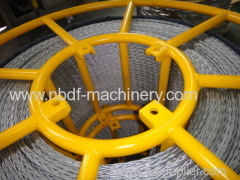 It is specially braided from high strength galvanized steel wire, non-rotation and highly flexible. 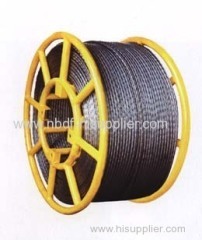 Anti twisting braided steel wire rope is widely used in transmission line stringing operation.It is specially braided from high strength galvanized. 18 Strands Anti twisting steel wire rope is specially braided from 18 strands of high strength, high flexible galvanized steel wire. 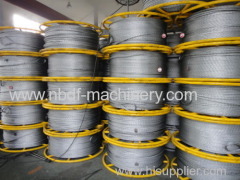 Group of Anti twisting steel wire rope has been presented above, want more	Anti twisting steel wire rope and Anti twist braided steel rope, Please Contact Us.